Dr. Detlef Bartelt got his medical degree from Medical College of Christian Albrechts University and did his internship at Riverside Methodist Hospitals – OhioHealth. 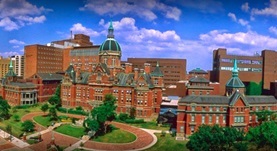 In 1974 he obtained his residency from Johns Hopkins Hospital. Dr. Bartelt is certified in diagnostic radiology and is currently affiliated with Johns Hopkins Hospital. Dr. Detlef Bartelt has contributed to 3 publications. The Use of Low-Osmolar Water-Soluble Contrast in Videofluoroscopic Swallowing Exams. Harris, J. A.,Bartelt, D.,Campion, M.,Gayler, B. W.,Jones, B.,Hayes, A.,Haynos, J.,Herbick, S.,Kling, T.,Lingaraj, A.,Singer, M.,Starmer, H.,Smith, C.,Webster, K.; Dysphagia. 2013 Mar 26. Hayes A1, Alspaugh JM, Bartelt D, Campion MB, Eng J, Gayler BW, Henkel SE, Jones B, Lingaraj A, Mahesh M, Rostkowski M, Smith CP, Haynos J. A Direct Mass-action Mechanism Explains Capacitative Calcium Entry in Jurkat and Skeletal L6 Muscle Cells. Narayanan B1, Islam MN, Bartelt D, Ochs RS.